This is a 1948 ad for a Snap-on Bench Grinder! The size of the ad is approximately 6x9.5inches. 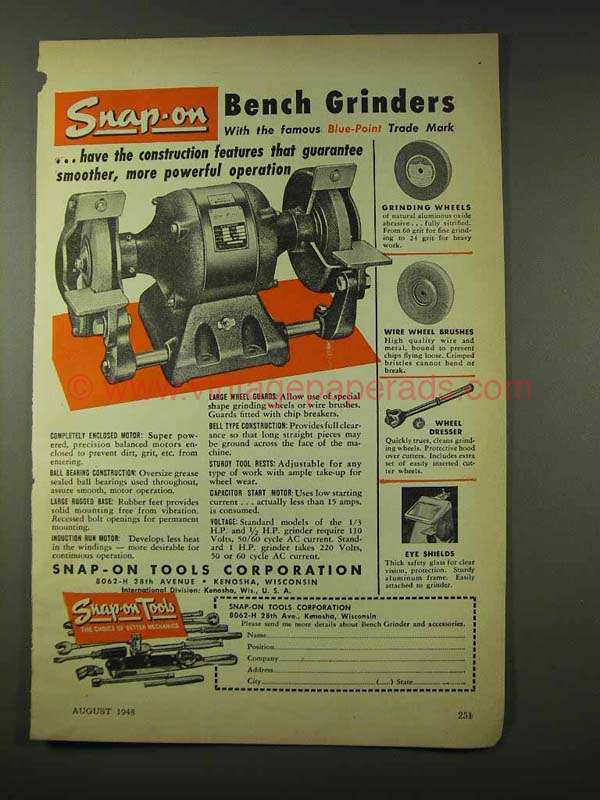 The caption for this ad is 'Snap-on Bench Grinders have the construction features that guarantee smoother, more powerful operation' The ad is in good overall condition, with some edge wear. This vintage ad would look great framed and displayed! Add it to your collection today! 1990 Snap-On Tools Ad - 1-800-Tools 4U call today!